Our organization is counted among the prominent Copper Mesh Pads Manufacturers, Suppliers and Exporters in Pune, Maharashtra. The wide array of our Copper Mesh Pads is widely demanded in the market, for its perfect make and anti-corrosive features. 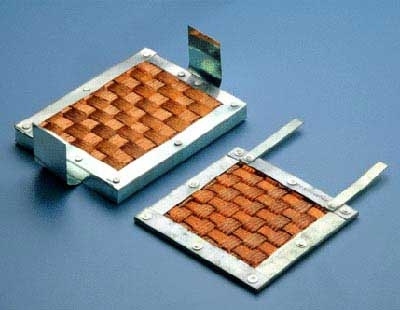 The Copper Mesh Pads, offered by us ensure the highly flexible and conductive surfaces. We use sheets of electrolytic grade and soft Copper braids in the making of Copper Mesh Pads.